Cheaper Car Hire at Pisa Airport. 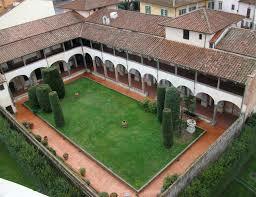 Compare SUV, MPV, estate & minivan rental costs in Pisa, Italy. 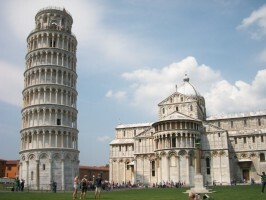 We offer quality, discounted Pisa car hire, near the Leaning Tower and at Pisa Airport. Lean on us as we put you in touch with car hire companies in Pisa, who have discounted their published prices to encourage you to book through websites like ours. Get a piece of cheaper than normal prices, with these car hire companies at Pisa Airport:- Avis, Budget, Europcar, Firefly, Green Motion, Locauto and Sixt, who all have their desks in the airport terminal, so you will not spend too much time leaning about. Fuel Policy - all cars come with a full tank, and need be returned full. Damage Excess - check the terms of each supplier, as to what will be held on your card, or how much to reduce, as Sixt tend have lowest excess amount. Alternatively, excess cover is available when booking, to cover any claim. Great choice, and the option of car rental with no excess, are just two reasons why booking with us makes sense. We offer a range of car types from:- estates, Mono Space, 4x4, jeep, prestige, hatchbacks, economy and executive. We offer cheaper holiday auto prices for Pisa. Known international vehicle suppliers at lower rates. Check our discounted SUV and ninivan prices today. Get that 4WD SUV today, before someone else does. A regular bus and train service connects Pisa Airport to downtown Pisa. Tickets may be purchased at the airports information desk. Hiring a car gives you the freedom to explore at your own leisure and in your own time. The road structure is excellent, and driving is easy. The rental desks are located outside the arrivals hall. We offer a wide choice of car categories including diesel models. Pisa is a naval town, that once ruled a small empire that included Corsica, Sardinia and the Balearics, of Spain. It is now a major tourist attraction, with the main draw being the leaning Tower of Pisa. The city of Pisa lies at the mouth of the Arno river in Italy's Tuscany region. 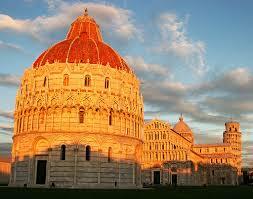 Pisa's key tourist attractions are grouped together in the Campo dei Miracoli know as the Field of Miracles. The monuments are surreal and all lean in different directions this field is a showcase for grand and exquisite Italian architecture. The town is a haven of architectural gems with the church of Santa Maria Dekka Soina on the banks of the Arno is a Gothic masterpiece. From Pisa you can explore by car the magical region of Tuscany with its awe inspiring landscapes and beautiful cities such as Florence, Carrara and Siena. The official title is, Pisa International Galileo Galilei Airport. The airport is situated one mile north of Pisa. The airport is disabled friendly, with easy access toilets, lifts, ramps and reserved parking spaces. TDDs are available, should your hearing be impaired. Please notify airline staff in advance, if you need a little extra assistance. There are cheap flights into Pisa airport, with many budget airlines. The airport is connected by rail to Pisa and Florence. A regular shuttle bus service also connects the airport to the Pisa town centre. The information desk will help with flight information and general travel related queries. In addition you may purchase rail and bus tickets form this desk. Airport phone number is (0)50 849 111. 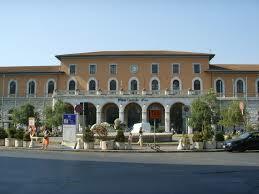 The airport address is:- Pisa International Airport Galileo Galilei, Societa Aeroporto Toscano SPA, 56121, Pisa, Italy. If travelling by car from Genoa, Florence, Leghorn or Pisa, then take the A12. Next stop Venice, Florence or Milan? If so, then save here on your next car rental price in Italy.